Charming home sits on close to 2 acres. 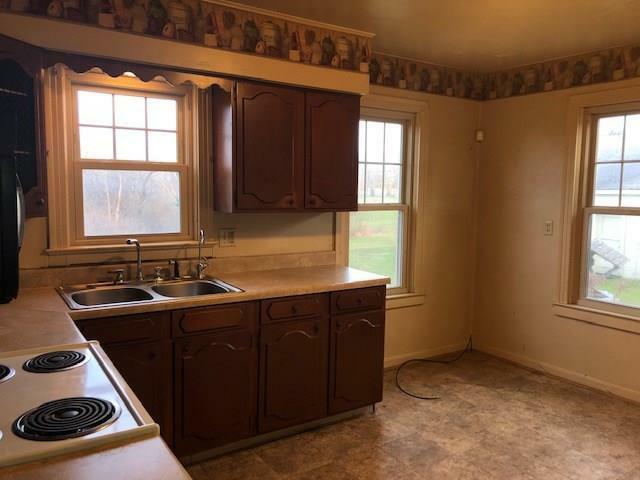 With a little TLC, this house could be your home! Newer windows, a/c, hot water tank and furnace. Covered patio. First floor bedroom. 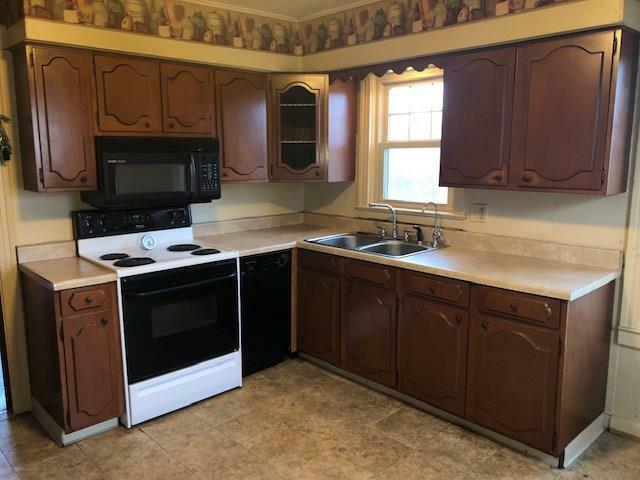 Large, fully equipped eat-in-kitchen with abundance of cabinets. Family room has beautiful built-in cabinet. Laundry chute in full bath. 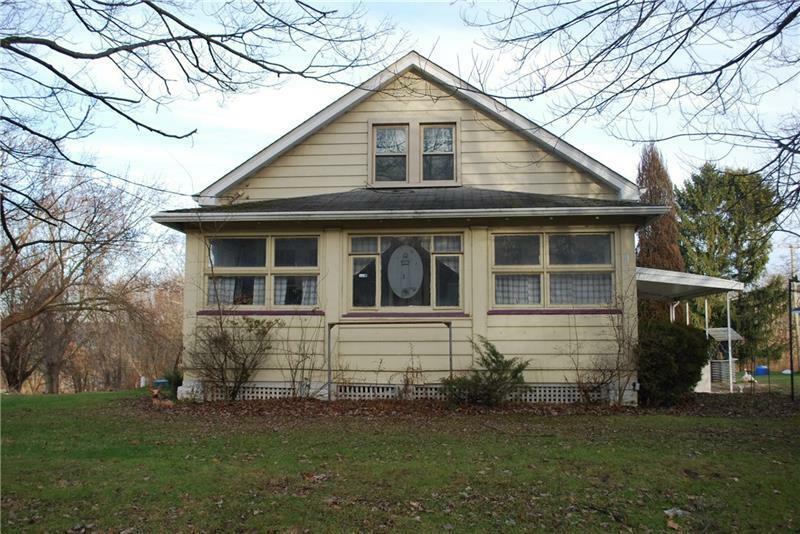 Additional room is enclosed front porch. Spacious entry could also be used as sitting room. 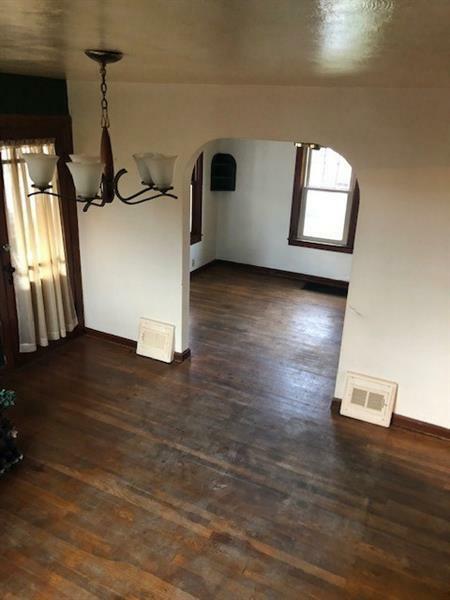 Hardwood floors on first and second floors. Full basement offering storage galore. 2nd bedroom offers built in dresser. 3rd bedroom offers storage along eave of home. 1/2 bath plumbed on 2nd floor. Over size 2 car detached garage. Shed behind garage also included. Driveway can accommodate at least 8 vehicles! Land offers plenty of room to roam. Home is being sold as-is.